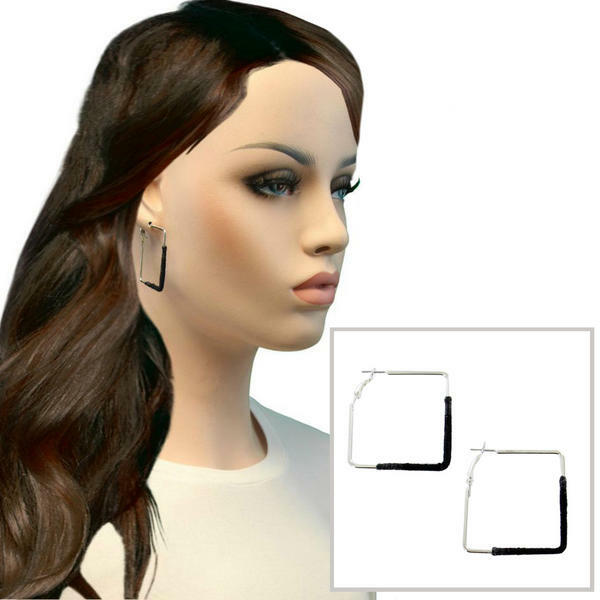 Ky & Co Black String Wrap Square Pierced Hoop Earrings Silver Tone USA Made 1 5/8"
These square shaped silver tone hoops are wrapped in black string for a modern colorblock look. These silver tone square hoop earrings are wrapped in black thread/string for an updated look on your classic hoop. Hypo-allergenic posts.